Excerpt of an article originally published under the title, "Reforms – Prospects and Impediments." Prime Minister Benjamin Netanyahu (right) consults with Finance Minister Moshe Kahlon. Our highly concentrated "system" has impoverished a nation with excellent human capital and corrupted its economy and politics. Unless we get rid of it, it may endanger Israel's survival. There are two political leaders who may be able, if they are lucky and if they manage to put aside partisan considerations, to overcome the immense obstacles that any significant reform meets in Israel from powerful vested interests that protect the corrupt system from which they benefit. They are Prime Minister Netanyahu and Finance Minister Kahlon. Our 'system' has impoverished a nation with excellent human capital and corrupted its economy and politics. The prime minister is the only top politician in Israel who is interested in economics and understands its crucial significance for the survival of Israel. He led some key economic reforms in the past, notably the reform that broke the Poalim-Leumi duopoly. However imperfect, this reform helped generate five years of five percent annual growth, after decades of no growth and several recessions. It also saw the average income of Israelis double from $20,000 annually to $40,000, while their savings grew from the pre-reform NIS 1.2 trillion to NIS 2.7 trillion today. Because of strong political resistance from the tycoons and the MKs that support them, the Bachar reform left important parts of the monopolistic financial sector untouched, at immense cost to the economy. Now is the opportunity to tackle them. Netanyahu is the only top politician who understands the crucial significance of economics for Israel's survival. Kahlon, as a Likud communications minister, led the very important and successful reform in the cell phone sector, breaking its cartel- like structure and opening it up to competition with great benefits to consumers. Running independently as head of the Kulanu Party Kahlon promised to first tackle three major issues: the high cost of living, the forbidding costs of housing and the remaining anti-competitive practices in Israel's financial markets. All are very important and deserve urgent attention. But as Kahlon may soon find out, all three are extremely complicated. 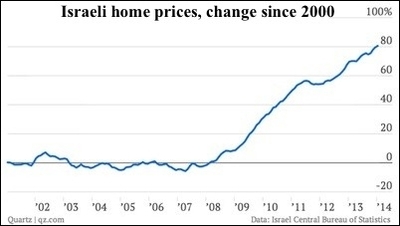 Because markets and prices are so distorted in Israel, attempts to modify them by fiscal means may not work as expected. It may not be easy to devise straightforward, implementable solutions for these problems, especially since reforms will meet stiff resistance from many quarters, including politicians, tycoons and their army of enablers, lawyers, accountants, public figures, academicians, media and PR people, and even some "social activists." No reform will have an easy ride. 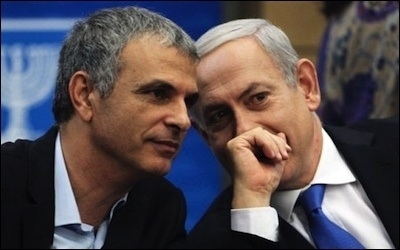 It may be politically more opportune if, while work proceeds on the major, more difficult reforms, Kahlon also launches smaller, politically more feasible, growth-inducing reforms, such as the long awaited reform to remove the many obstacles to the formation and growth of small businesses in Israel: excessive regulation, high and complicated taxes and lack of access to credit. There will hopefully be less resistance to a reform that does not directly threaten vested interests and that can bring about a great spurt of growth in a reasonable timeframe, increase employment and cut prices by creating competition. Other reforms could be launched that will train women and enable them to become more productive at what they do, thus improving their employment prospects and their wages. Women usually occupy the lower rungs of the labor market and are scandalously paid much lower wages than men even when they work in hi-tech. Training them to improve their skills as secretaries, teachers, nurses and saleswomen will increase their productivity and pay. It will grow our economy. Instead of only mending what is broken in the Israeli economy, in real estate markets, in financial markets and in consumer trade markets, all dominated by monopolies and damaged by government – all for sure vital and urgent tasks – the simultaneous undertaking of growth-inducing reforms like those mentioned above may create a better political climate and facilitate the implementation of other more difficult reforms by stimulating growth, that like the tide lifts all boats. Daniel Doron is founder and director of the Israel Center for Social & Economic Progress (ICSEP), an independent public policy think tank, and a fellow at the Middle East Forum.